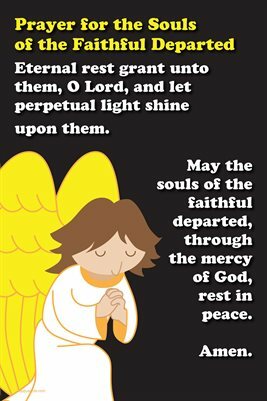 Prayer for the Souls of the Faithful Departed: Eternal rest grant unto them, O Lord, and let perpetual light shine upon them. May the souls of the faithful departed, through the mercy of God, rest in peace. Amen.